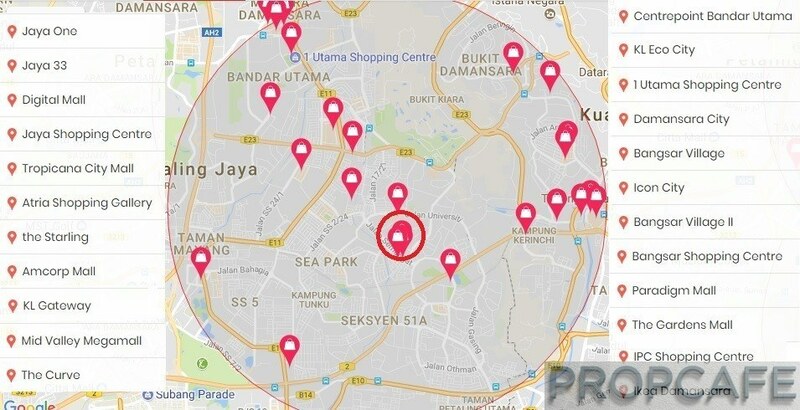 When it comes to property location, everyone has his/her own favourite community and Petaling Jaya (Petaling Jaya) is no doubt one of the favourite choices among Klang Valley folks. 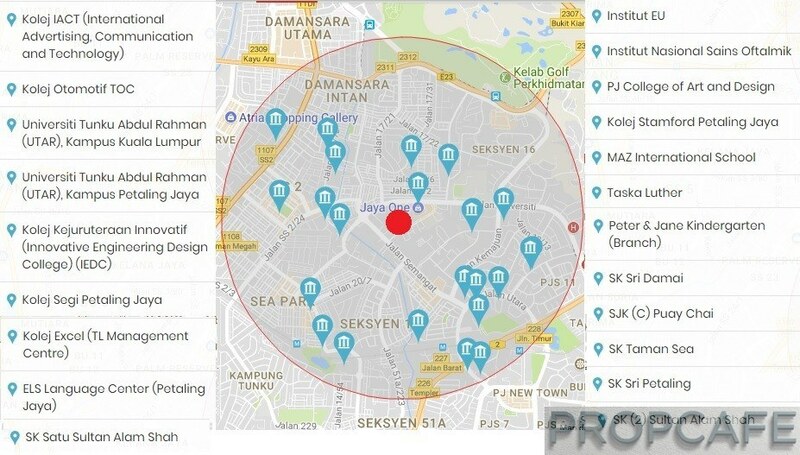 PROPCAFETM dares you to challenge it with a survey on the most preferred “District” in Klang Valley, Petaling Jaya will surely be one of the tops there and stand out from the rest! The development of Petaling Jaya first started from a 1200 acres rubber estate land near Old Klang Road during British Malaya era in 1950s to accomodate the over-population of Kuala Lumpur City which British also planned it as the satellite town to prevent people from assisting the communists. From there, this Petaling Jaya old town grew exponentially and now extended and covered an approximately 97.2 sq km! The entire Petaling Jaya in Selangor (map below) is bordering with Kuala Lumpur – East, Gombak District – North, Shah Alam – West and Subang Jaya – South. Petaling Jaya is Huge! Any Simple Ways to Identify the Favourite Location? The answer is obvious! Look at the map above and think about the location that always pop up in your day-to-day communication with friends and relatives. 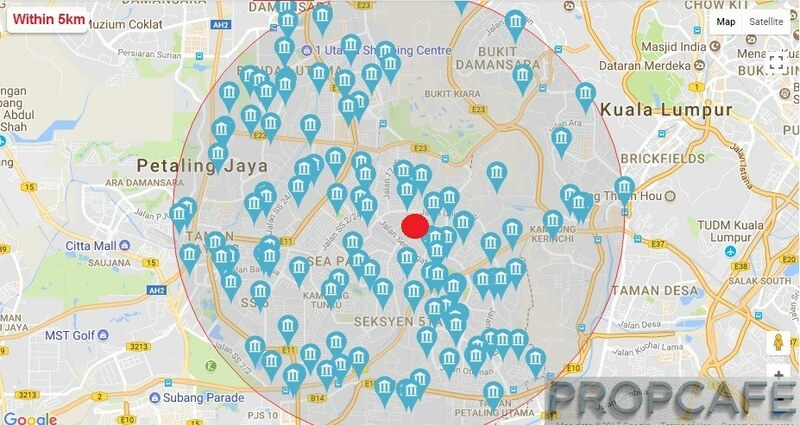 Alright, PROPCAFETM made it easy for you by boxing it up in the map on each of the main locations of Petaling Jaya. You may start to realise that the majority of the prosperous locations are along the east side of Petaling Jaya, which is neighbouring Kuala Lumpur East! Without any guide from Economist, it is easy to understand that it is due to the spillover effect from the higher end enclaves (see the map above with red dot) like Taman Tun (TTDI), Mont Kiara, Desa ParkCity, Desa Sri Hartamas, Bukit Damansara Height, and Bukit Kira and etc. Alternatively, you can also argue that this part of Petaling Jaya helped the growth of this part of Kuala Lumpur since Petaling Jaya started much earlier! The logic is straight forward, community expansion is the natural development in human migration and co-movement of same geographical preference with similar demographics. Perception, in most of the times, counts. 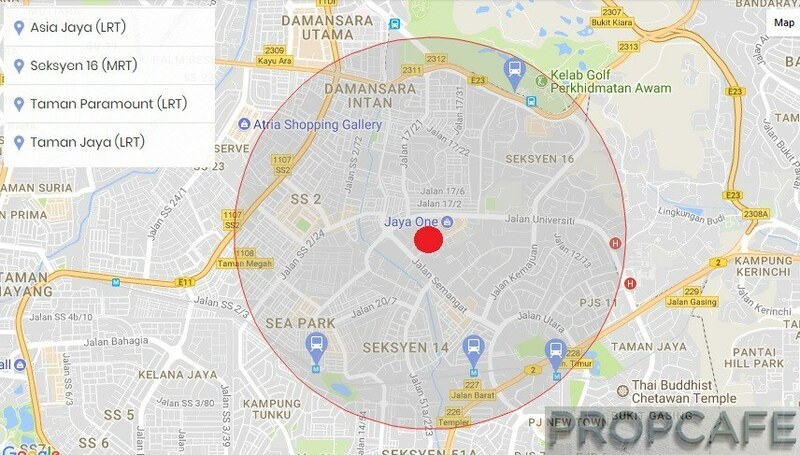 PROPCAFETM can conveniently point out the best locations in Petaling Jaya, for instance, Tropicana, Kota Damansara, Mutiara Damansara, Bandar Utama, SS2, Section 16, and Section 13! Each of the location has its character but PROPCAFETM would like to zoom into Section 13 in this article, which has its massive facelift and transformation on-going at the moment. Section (or Seksyen) 13 is located at a 10ha triangle land formed by three popular streets – Jalan Universiti, Jalan Kemajuan, and Jalan Semangat. Formerly, it was the main industrial area in Selangor and many called it as “Petaling Jaya Central” because of its fantastic accessible to City and other parts of Klang Valley. Surely many of the Gen X or Y would remember the well-known manufactures and corporations here such as Colgate, DSKH, Nissan Tan Chong, Sin Chew Jit Poh, Rothmans-BAT, Bosch, Dutch Lady, Vitagen and etc. Even when I was a small kid, the words of “Rothmans Roundabout” were already in my mind! Majlis Bandaraya Petaling Jaya (MBPJ) realised Section 13 will be too valuable to remain as industrial lands or manufacturing hub due to its strategic location, especially “Prime Land” is getting rare in Petaling Jaya. At the same time, they recognised that this prized land cannot be self-sustainable like its neighbour SS2, Paramount Garden, or SEA Park but it can easily ride on the neighbouring amenities and good demographic in this area to transform it to be a service oriented commercial, high-rise residential and business hub, given an approximately total of 1800 acres land size and 38,000 – 40,000 residential houses in Seksyen 12, 14, 16, 17, and 19. The regeneration of Petaling Jaya Section 13 happened a decade ago when the manufacturing lands of Malaysian Freedmill Plant were sold and turned into commercial and retail development – Jaya 33 and followed by the commercial/office block of Plaza 33 and mixed commercial and residential development project – Jaya One. Since then, MBPJ has approved various integrated office/commercial/residential developments, residential high-rise projects, hotels, private medical center, worship place, lifestyle & recreation facilities, eateries and beverage conceptual stores. The change in fact complements the existing neighborhood “Petaling Jaya Section(s)” which 80-90% are residential enclave and also made Petaling Jaya Section 13 not only more vibrant but also create ample employment opportunities in the service oriented industry with ready skilled workers and professional staying at the surrounding Petaling Jaya areas. The master transformation plan will not be successful without the win-win collaboration and buy-in from the 78 land owners. The sizable land fronting the three main roads (see photos below) are the first to pick up by developers (or land owner turned developers). The survival of commercials always depend on the day time population and that is why the first wave of the completed developments are more on offices, shops and commercial whilst the on-going projects are have more residential elements. 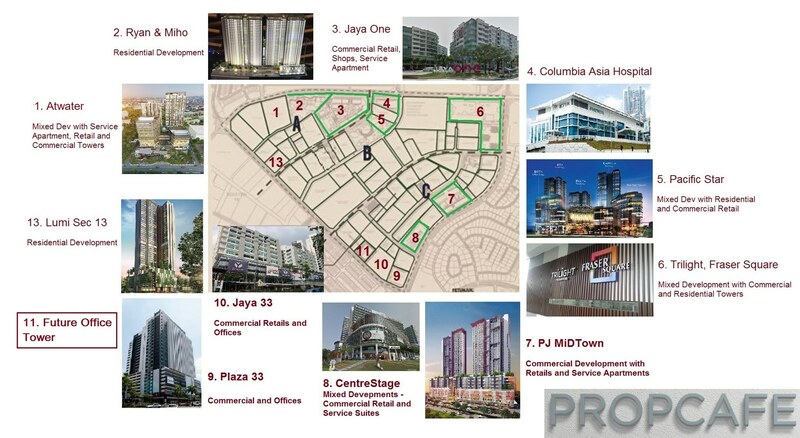 To add-on the amenities to this part of South East Petaling Jaya, Columbia Asia Hospital, Best Western Hotel, recreation like Jump streets and the night time coffee or drinking spots are making Section 13 more livable and coming out nicely as its own residential enclave. If everything goes well with its plan, Petaling Jaya section 13 is expecting 100k residents and working population in coming years. How much do you know about the Transformation Master Plan of Petaling Jaya Section 13? To ensure the redevelopment comes with sustainable eco friendly system. MBPJ officially unveiled its urban renewal plan together with a detailed guideline. Land owner and developers are obliged to follow the green, lanscape, pedestrain and common area beautification requirements when they submit their development plan for approval. 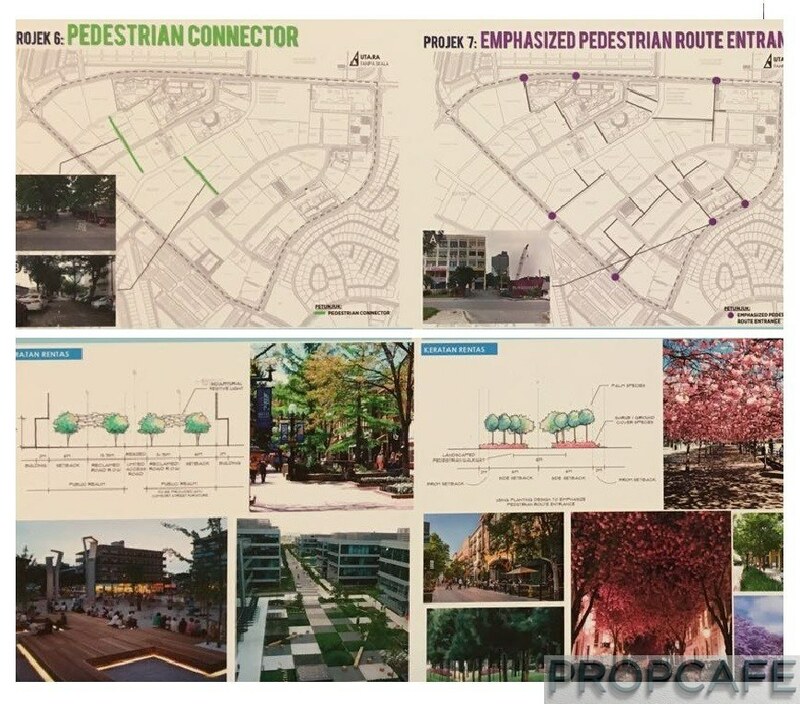 The walkable concept from MBPJ focuses on the importance of shaded pedestrianization with interconnected lanes, streets and linked bridges that comes with lively activities and quality public realm of green area and water elements. 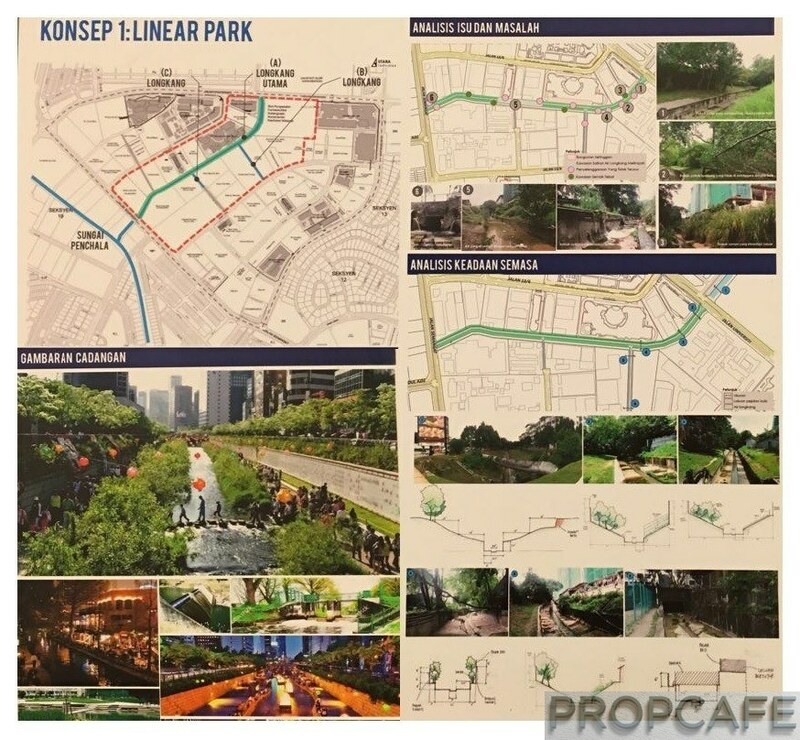 The plan above showed MBPJ’s vision to transform the existing multiple monsoon drains (total >1,000 meters) into walkable riverside linear park to attract leisure and improve the walkable zone in Petaling Jaya Section 13. There are various guidelines were introduced for architect and developers to follow to ensure in-line with the holistic masterplan in Petaling Jaya Section 13. 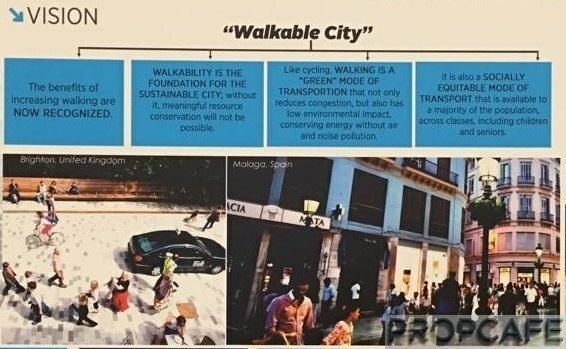 This well designed guidelines are main concentrate on the common area use and design, green factors, lanscape, pedestrain connectivity and traffic (human/transport) flow design. To make the place more vibrant with human traffic, you need some dedicated square to let the Petaling Jaya folks to “lepak” there! Three locations have been identified for the Square which are commonly seen in western countries. Seven locations with a total size of 0.9 acres are designated as Urban Oasis to make lanes more functional. Each of the Oasis also needs to meet the requirement of minimum 6 meters from the green connector. 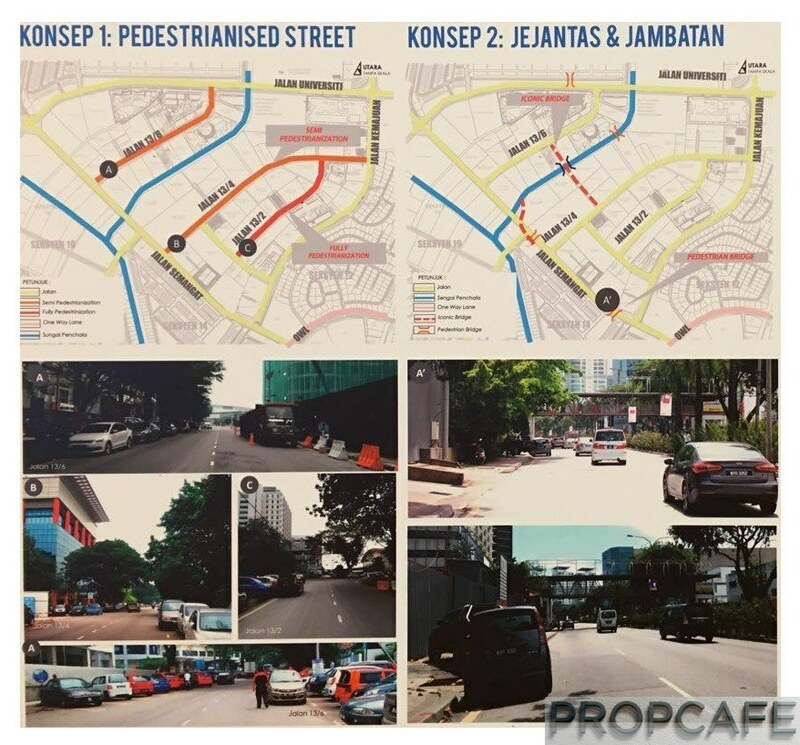 MBPJ intended to “greenify” 21 lanes in Section 13 as “Green Connector” to enhance the greenery of this part of Petaling Jaya. Each of the lanes must come with minimum width of 40 feet. To further promote walkable environment, each parcel of 62 lots that identified in Petaling Jaya 13 Section would include a total of 40 acres green boundary. Bioswale landscape design are proposed to mitigate and reduced the silt or pollution from the surface of runoff water. It also acts as a function to optimise the hydrology system. The transformation plan includes the opening up of two lanes that connect the current isolated parcels and identified seven route entrances to improve the pedestrian connectivity with each comes with minimum width of 52ft. Identity is key for any city or district which often comes with a symbolic statue. Two plot of lands have been proposed to set up an iconic statue to make it as the landmark for Petaling Jaya Section 13. While not all proposal from MBPJ have been executed, the progress of the transformation plan has been tremendous over a short period of time especially the area near Jaya One and Jaya 33. With more projects scheduled to complete next two years, there would be certainly more open hang out places with green concept to be available in Petaling Jaya Section 13. Fantastic news to the residents. Popularity always comes with reasons. Old is gold! Petaling Jaya Section 13 is matured with aplenty amenities that make this place successful and different from other new townships. To many conservative property investors or own-stayers, this could be the key factor in their decision making. 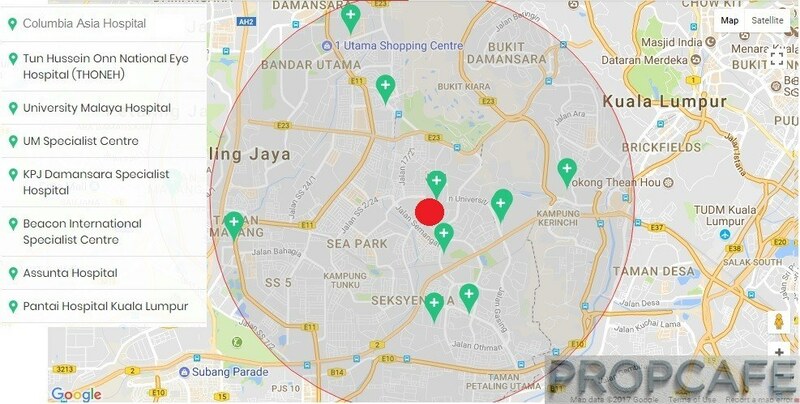 For easy reference, PROPCAFETM presents you the heat map below to see the key amenities within 2km or 5km radius from Petaling Jaya Section 13. Nothing more important than public transportation. While it is not within walkable distance to LRT and MRT, there are many shuttles to reach the stations. Not ideal but it is not bad either as short distance of connection by bus/grab/self drop-off will resolve the issue. Without a need to explain, you won’t enough time for your other activities if your are a shopper who reside here in Petaling Jaya Section 13! Full of Universities, colleges, schools in this part of Petaling Jaya. Petaling Jaya is famous for it! OMG! How can PROPCAFETM list it all? Key amenities for mature area like hospital is importantly especially for a relatively large elderly group in Petaling Jaya. Petaling Jaya Section 13 is enjoying an easy access to many highways. Head south and within 3km, you will reach Federal Highway which can bring you to Kuala Lumpur City and alternative direction to Shah Alam/Klang. Further South, it is just 6-7km to New Pantai Expressway from Petaling Jaya Section 13. Head North and about 3-4km, Sprint Expressway will get you to other part of Kuala Lumpur or Petaling Jaya like Ara Damansara and etc. Look West, the LDP is just 2.5km away and technically it links your journey to Bandar Utama, Kota Damansara, Sungai Buloh or another direction to Kelana Jaya, Puchong, Bukit Jalil, Cyberjaya, Putrajaya and etc. Drive East, there you go the Bangsar, Bangsar South or further would get you to Kerinchi Link within 5-6km. Now you may know why MBPJ is so determine to transform this “Jewel” as it is basically a central point to all key destinations in Klang Valley. By having it as just manufacture industry area would be a total waste and do not make economic sense! Oversupply in Petaling Jaya Section 13? Wait a minute, because of the transformation plan, Petaling Jaya Section 13 now full of on-going mixed used developments. Therefore, it is understandable that many may perceived that massive supplies are coming in over next few years since constructions are everywhere. However, let’s zoom in further to understand more about Section 13. The surrounding neighbourhoods (other Sections) near Section 13 were mostly landed properties and some old low/mid cost apartments. It means the redevelopment of Section 13 with modern residential high-rise and facilities may be in the just right to meet the potential or pending demand of new apartments with unique lifestyle theme from this matured Petaling Jaya neighbourhoods. Quick count, the earlier completed residential service apartments or developments are Jaya One (360 units – RM750-890psf), CentreStage (352 units – RM750-950psf), and D’Vouge (360 units – RM800-1000psf). If you drive around this area at night, you will see these units which about a total of 1k units are well occupied with lights. 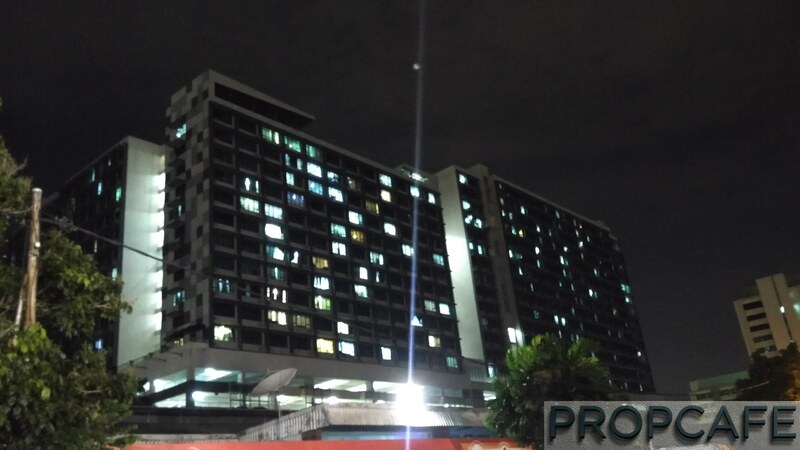 Next, there are few on-going projects in Section 13, for example, Pacific Star (657 units – RM800-900psf, Completion – 2017/2018); Petaling Jaya MiDTown (785 units – RM850psf up, Completion – 2019); and Ryan & Minho (1084 units – RM750psf – 850psf, Completion – 2021). If you survey around, few plots of land soon would be re-developed as well like Trilight Fraser Square (indicative RM1000psf), and Lumi Section 13 (310 units) and Atwater by Paramount. The statistics seems a lot supplies to come, but it is worth to highlight that these incoming supplies about 3,000 units will cover the offering for various segments (Single, DINK-Double Income No Kids; New and Small families, Families, Retirees and etc), so if you can segment it out and understand the demand of each segment, the perception and decision could be totally different. Another good news is the completion of these projects are staggered over years, it provides more times for the market to absorb the supplies. In the end, the key is still on how to pick the developer/development, project theme, unit size and layout to meet the right market demand since location is already a non-issue. One thing for sure, if you are keen in Petaling Jaya Section 13, you should accept the fact that NOTHING COMES CHEAP here even though it is leasehold! Land, especially PRIME Petaling Jaya land is scarce! The indicative market prices above say it all. RM800psf is a norm! There are plenty of changes coming in Petaling Jaya Section 13 next few years and it can only be better! Lastly, we would like to pay our respect and gratitude to MBPJ for their efforts to plan and transform Petaling Jaya Section 13 from industry area into a modern and great place to work and live! Awesome write up of the area! Am invested here so hope to see the whole area mature over the next 10 years or so. Thanks for covering everything in so much detail. Glad to see a more positive review in these times. Been a lot of negative comments over the past year about the area. Keep up the good work! Hi rentandreturns, Thank you for kind words and your support. We are looking forward for the great transformation of Petaling Jaya Section 13 which bound to be happening soon. All the best to you! very nice layout and very big facilities arround 2.2 acre, u can amagine 1.6 football size.